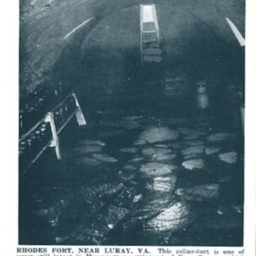 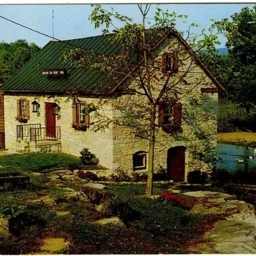 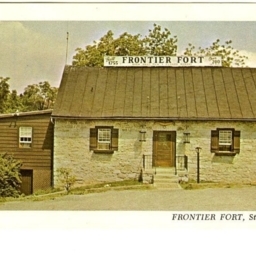 Postcard showing the interior of the cellar-fort called Rhodes Fort near Luray Virginia. 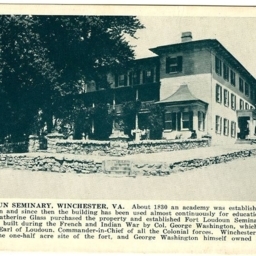 Includes decription of the site. 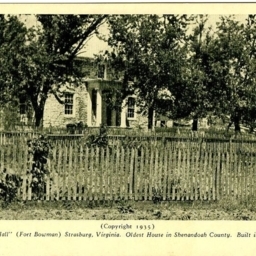 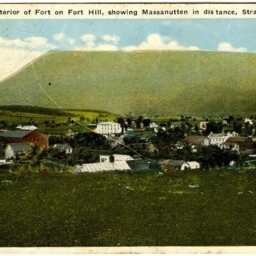 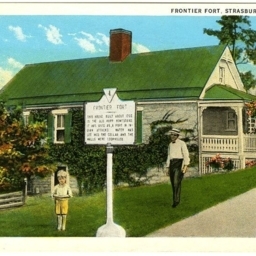 View from Interior of Fort on Fort Hill, showing Massanutten in distance, Strasburg, Va.
Color postcard with a picture of the town Strasburg and Massanutten Mountain taken from Fort Hill in Strasburg Virginia.